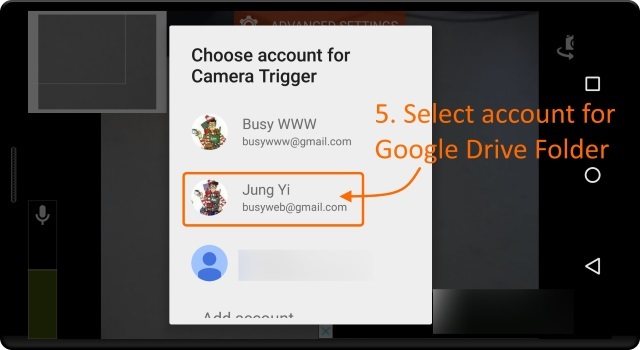 Download APK (2.7.3) file. After downloding, remove temporay information app first. 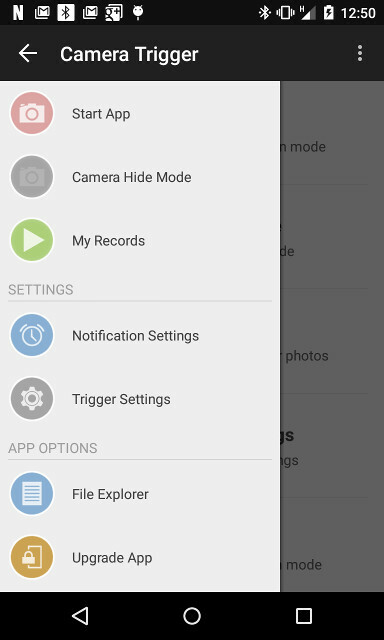 Then, install downloaded (2.7.3) app into the phone. Currently, android app on the Google Play Store has been removed and replaced with temporary information app. In the near future, newly designed app will be updated on the Google Play Store. 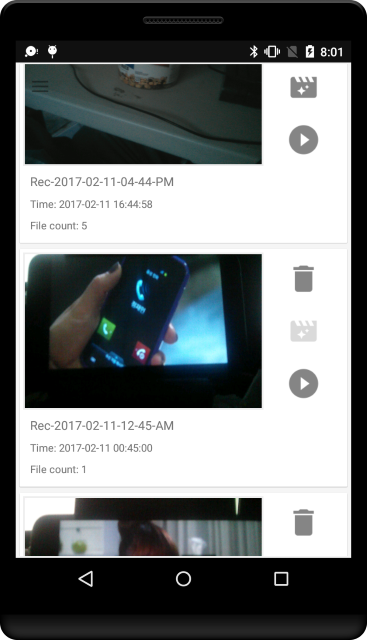 View and take photo of multiple remote camera devices remotely through the internet connection.  Control app from Android Wear Watch. 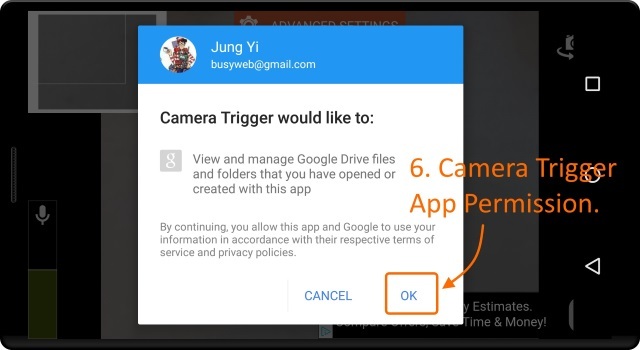 Find how to use wear watch for the Camera Trigger android app. 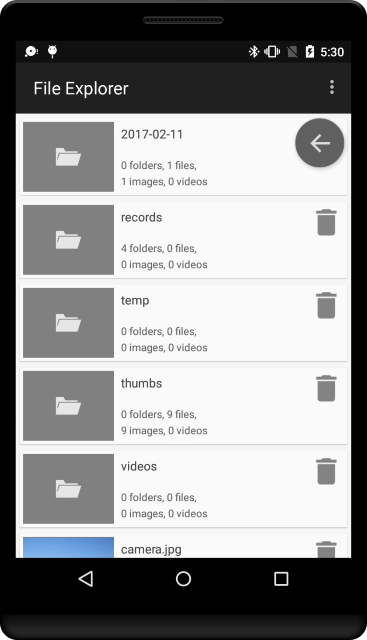 Set photo and video record folder manually; SD Card storage could be used. Wear watch app bug/crash fix. 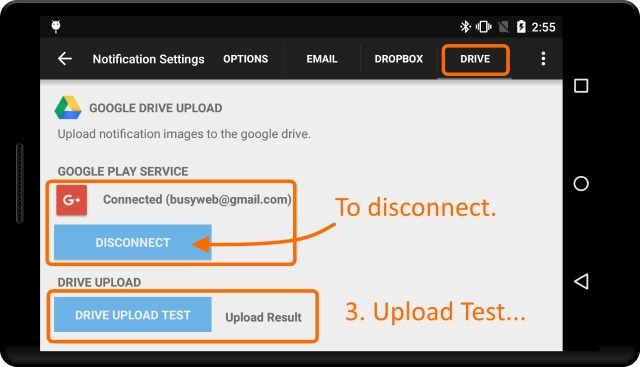 Wear app fix on the phone app communication. For wear app sync with phone, please try to reinstall phone app if wear app sync fails. 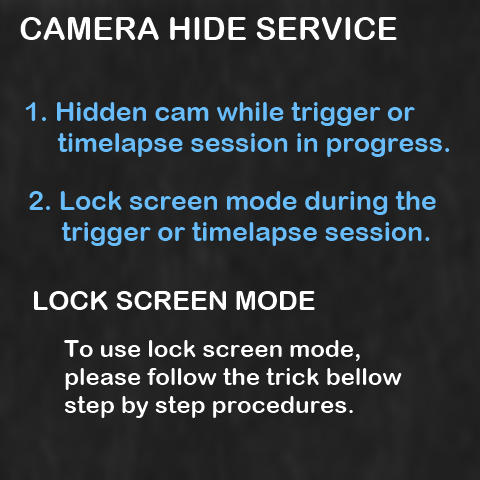 Automatic Camera On-Off option: For battery saving purpose, app will close Camera during the next time-lapse interval. 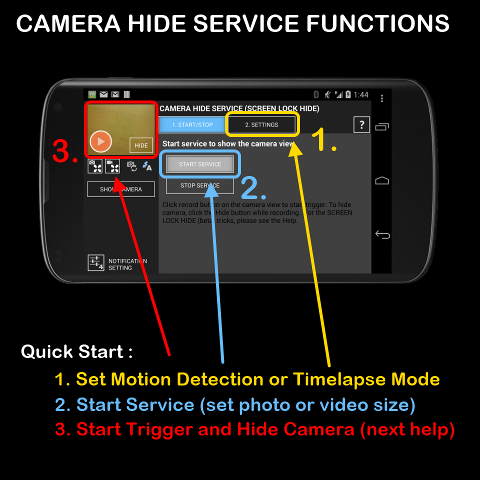 For battery saving purpose, app will set screen brightness to minimum during the detection operation. 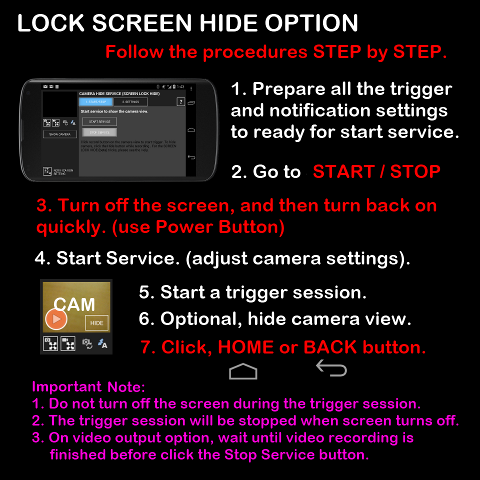 Manual screen brightness change buttons: Screen brightness minimum and reset buttons. 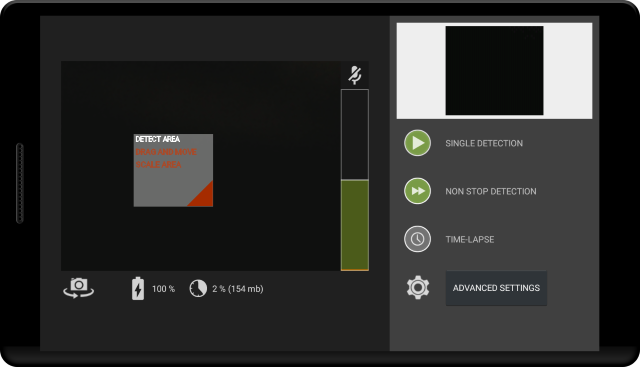 Improved and faster Motion Detection. 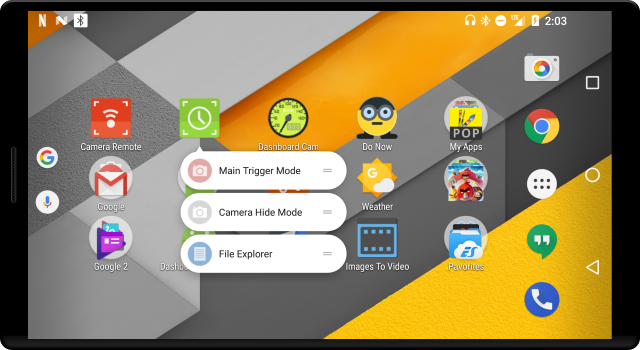 Android N update, including App Shortcuts, Permissions. 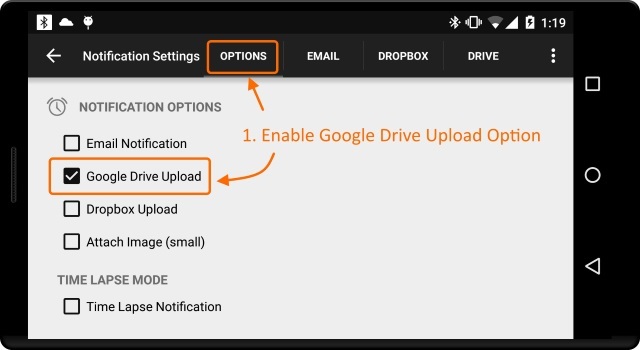 Google Drive video upload option. 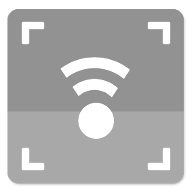 Notification (image upload) background processing update. New app icon and minor ui update. 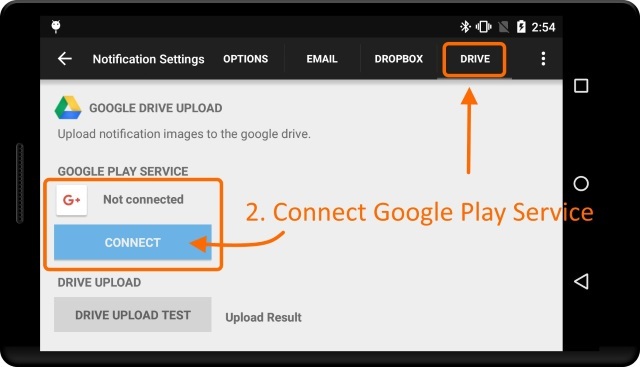 New Google Drive Image Folder will be used instead of the drive root folder. 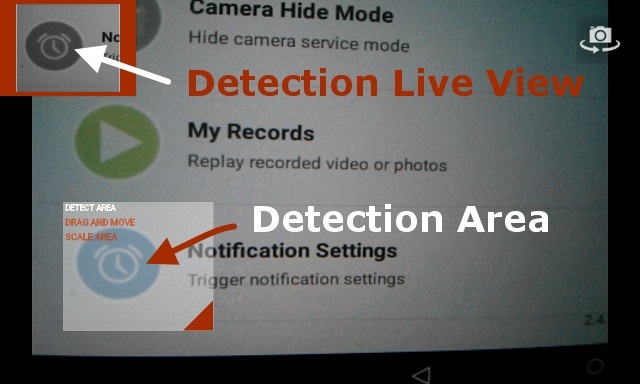 The Detection Area will be saved upon the size and location changes. Minor UI (user interface) update on Main Mode. Image and overlay mode video orientation issue update. 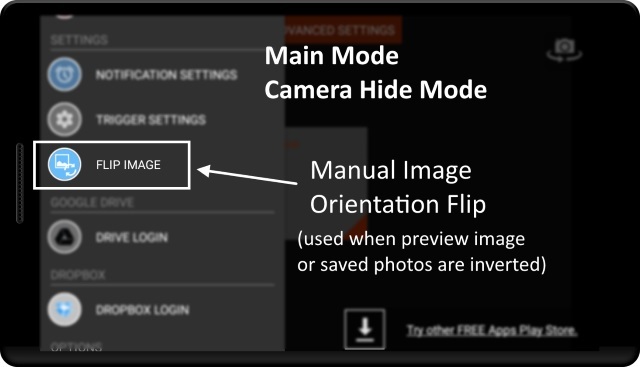 Manual Image Flip option is available at main and camera hide modes..
Google Drive Upload option for the notification. User specified sound file play on trigger action. 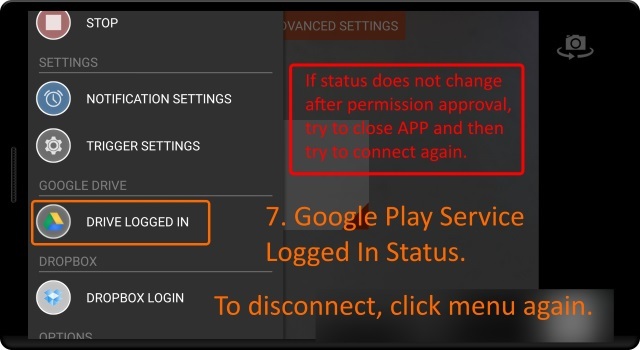 New sound play option could be set from Trigger Settings. 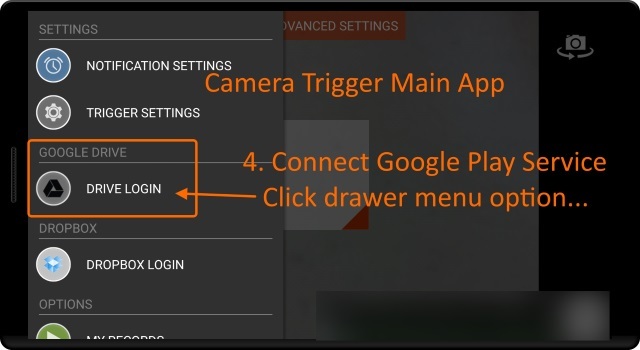 If user set to play sound but no user sound file is found, then default sound will be played on trigger action. 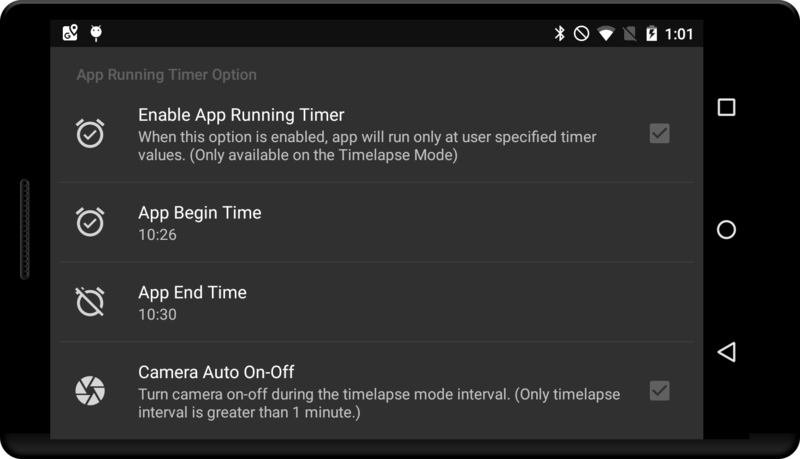 New Images To Video (Time Lapse) standalone app; replaces old function included in app. Bug fixes, for android version less then KitKat Watch (4.4W). 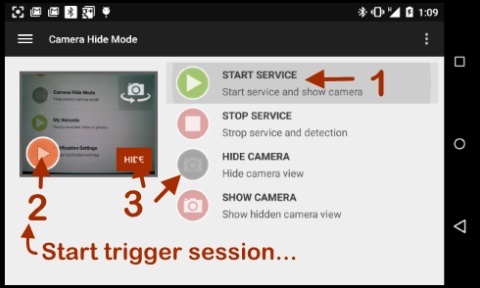 Camera triggering by using sound from the android device mic. 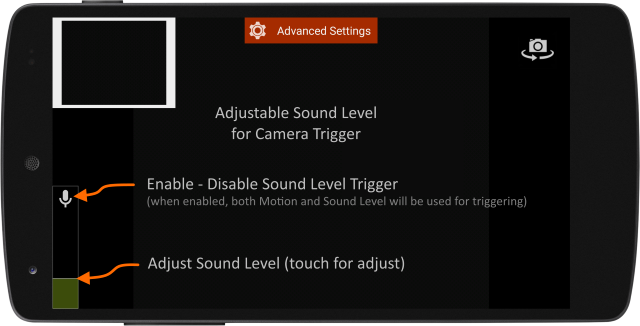 Adjustable sound level, when sound option is enabled, both motion and sound are used for triggering. 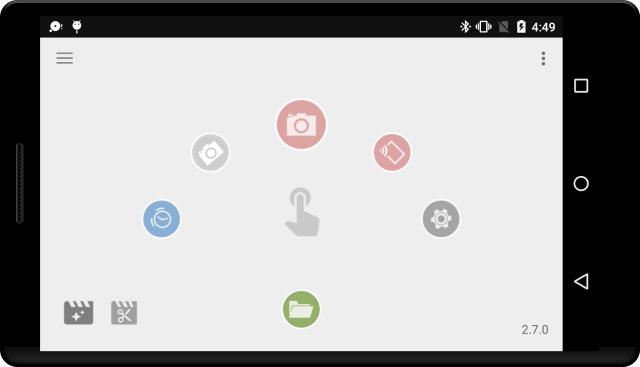 Newly designed user interface for the easy navigation and usage. 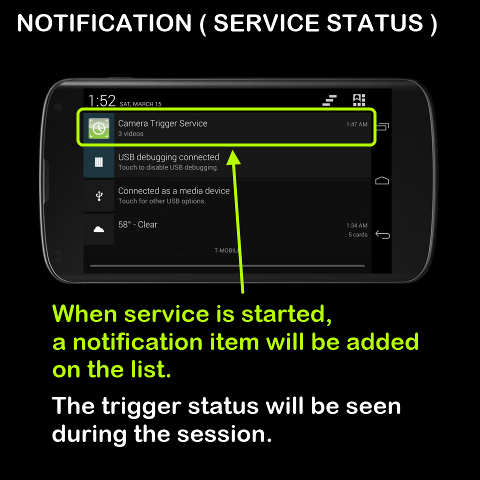 Motion trigger live view and information. Hide camera view from the screen during the trigger session. This is for the old app versions (lower than 2.4.x) or Pro version.